Just thought I'd share with you one of my new lippys.. I know a lot of you may have seen this already as its SO popular but I couldn't resist taking some pictures of the gorgeous packaging! It arrived in the post in a fancy deep purple box with rose gold detailing- luxury looking indeed. Just look at the beautifulness! 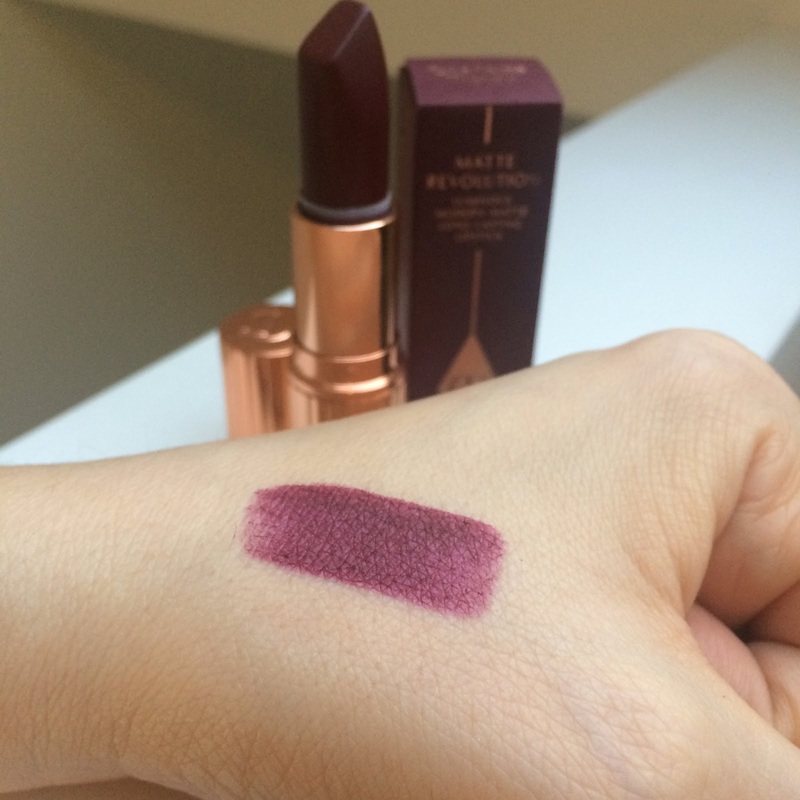 I got the Charlotte Tilbury Matte Revolution in Glastonberry.. its a deep purple berry shade. 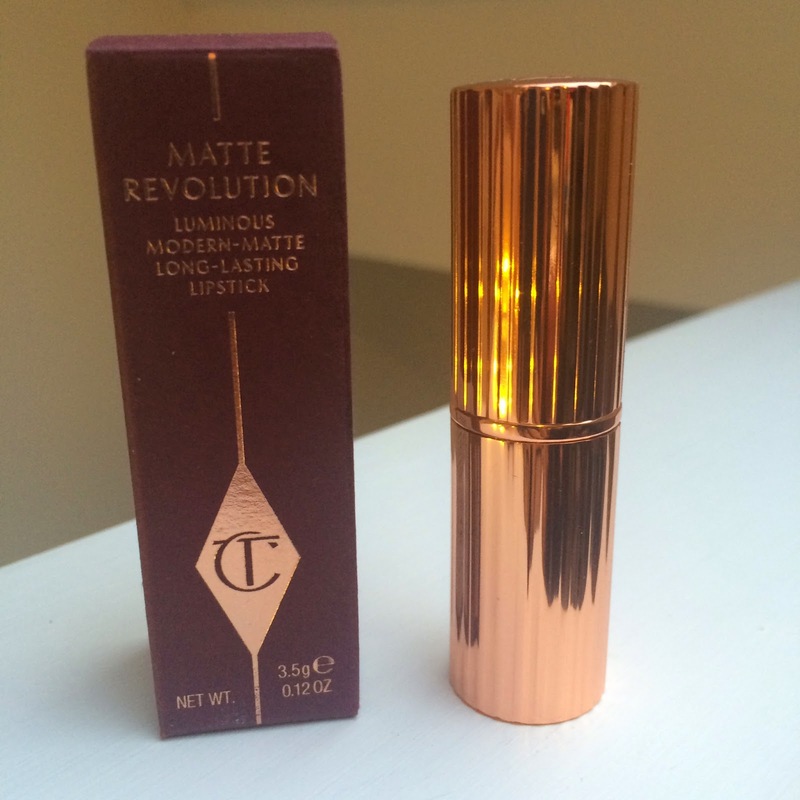 The pigmentation on this lipstick is pretty amazing... although its a matte it still is very moisturising- I used to use the Mac Matte range but found that not even a day after my lips would be cracked and sore! 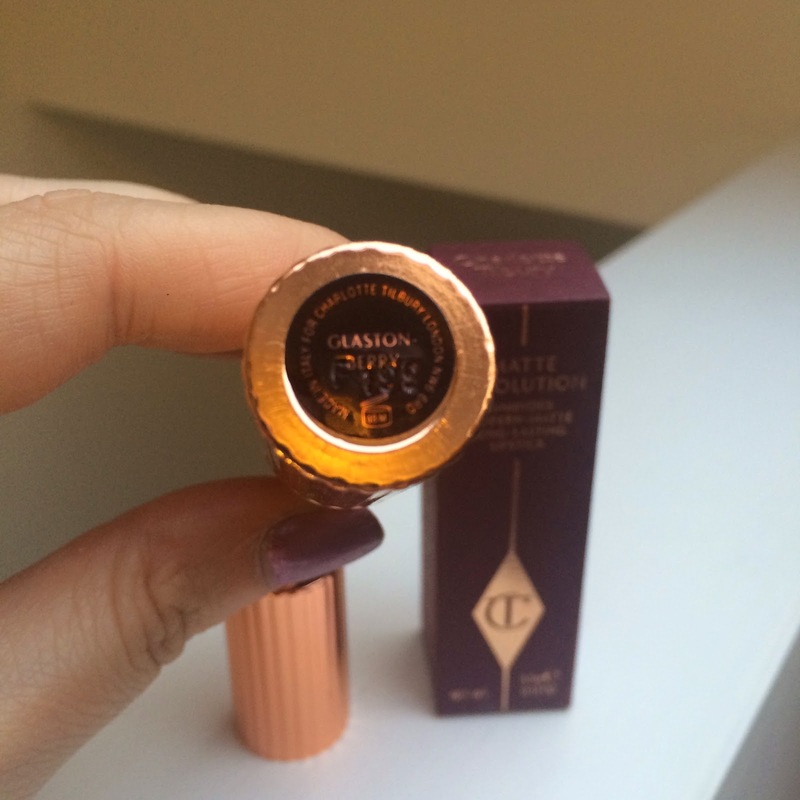 This for me is going to be my go to shade- I love deep shades in the winter months and I love a matte effect so this is my new love! 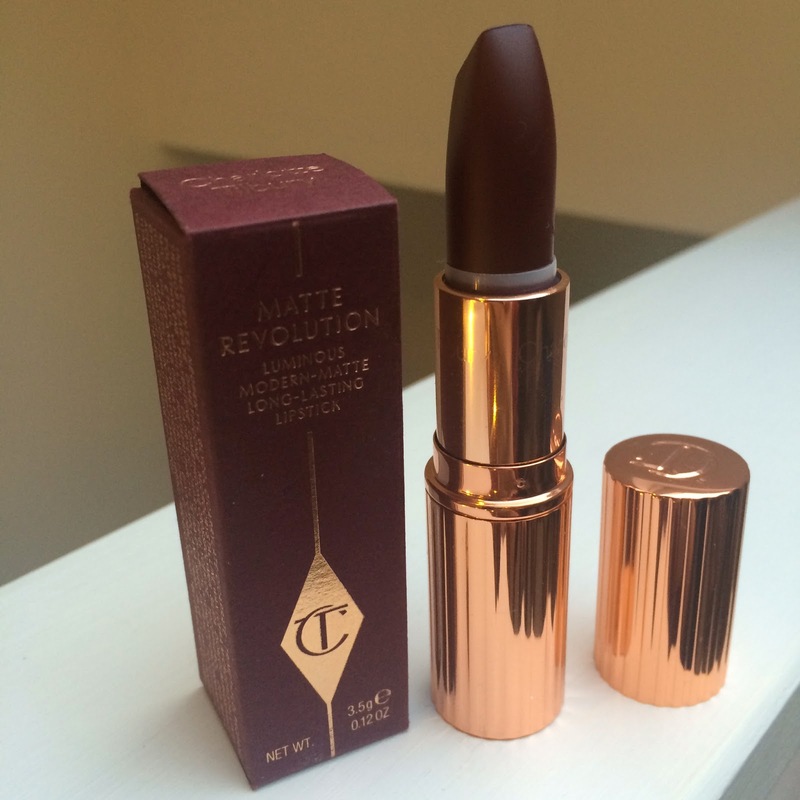 This lipstick is £23- yes, yes this is a rather whopping amount for a lippy but its SO worth the money! My top 2 out of these products have to be the beach stick and the eye shadow palette. 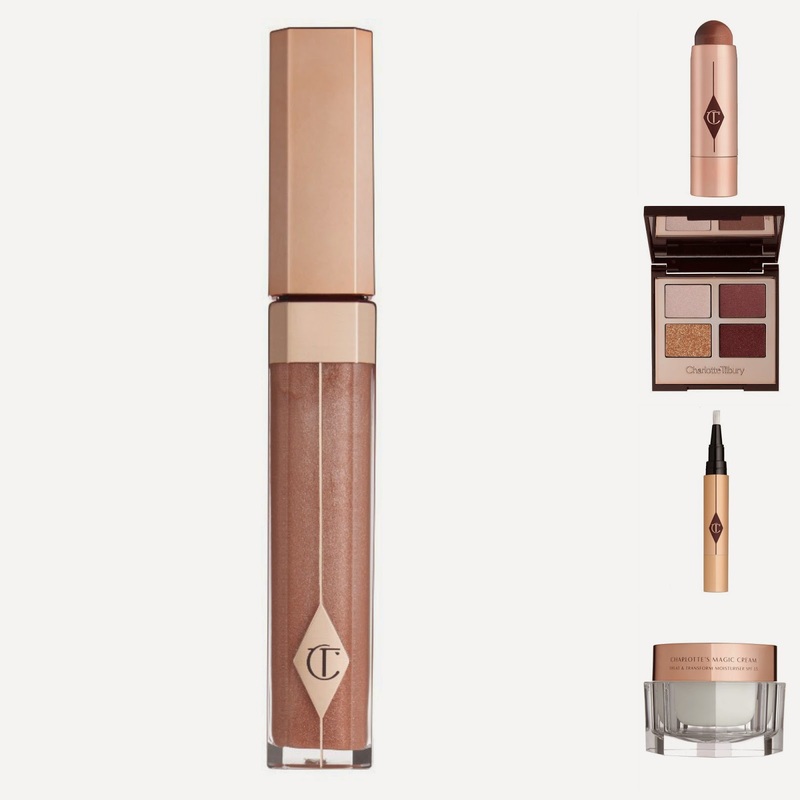 The CT website gives you a full tutorial on how to use the beach stick and the results are so pretty- just a sun kissed natural glow! The eyeshadow palette is one that instantly caught my eye as I can imagine a really dramatic night time look using a bit of each but the shades look like they would all be lovely used seperatlely for a more subtle day time look. Have you used any of these products? Can you recommend any of the CT range for me to try next? Gorgeous colour, when do you wear it?